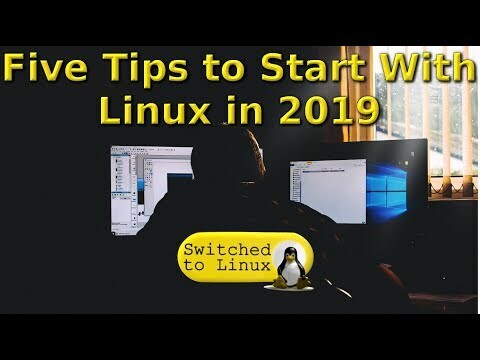 With the new year we should be looking to do more personal computing on a Linux operating system. Here are some tips. As I continue my tour of different Linux desktop environments, I'm going to start playing with Deepin, or Deepin DE. Let's see how it works ! Looking for great soundtracks for your video projects ? Deepin greets you with a very simple desktop,, with just a dock at the bottom of the screen. You get the option to use "fashion mode", which is just a dock at the bottom, with some system indicators such as network or battery life, and system menus, or the "efficient mode", which resembles Windows, with a task bar, indicators on the right, and a "show desktop menu". 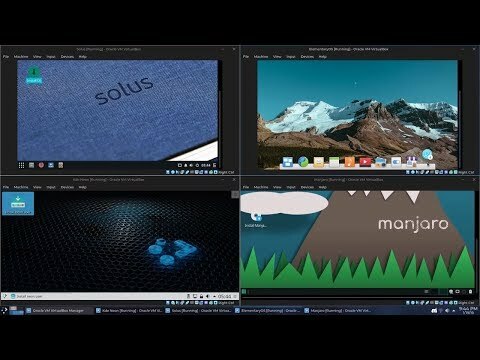 It hosts a launcher, which opens a GNOME like grid of all applications installed, a multitasking view shortcut, similar to what the elementary OS one does, spreading all windows for you to see, and showing virtual desktops, and then some application shortcuts.with the Deepin File Manager, Deepin Store, Deepin Music, Deepin Movie, Google CHrome, Control center, and "disk", which is a handy applet allowing you to see all available disks quickly. You can add app shortcuts just by dragging them to the panel, or by right clikcing its icon when the app is started, and selecting "dock". With Deepin, the desktop can store files, countrary to GNOME or elementary OS. With a right click, you get the option to create folders or documents, with handy templates already created for office documents, as well as accessing some settings, such as the corner settings, to select hot corner functionnality, from turning off the screen, opening the control center, showing all windows, opening the launcher, or simply showing the desktop. You can also get to the wallpaper settings through this context menu. This is Deepin's implementation of the system settings. The first thing that you'll notice, is that it pops up from the right edge of the screen: it's not an application, with its own window, it's part notification center, and part control center, ressembling the Mac OS X equivalent, for notifications. It uses transparency and blur efficiently, and looks very good, although since it's monochrome, it isn't always easy to use muscle and visual memory to find what you're looking for. The settings are dispatched into neat categories, and you can just scroll from one category to another, which limits the number of clicks, but can be quite weird at first. I'll go into more detail about what is available in this control center, but it does look the part and is a new, innovative implementation of settings. 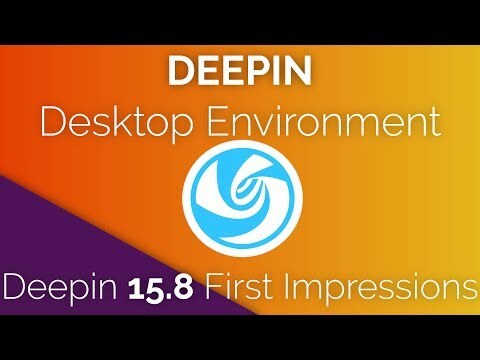 We'll go into more details in a separate video, but let's just say that Deepin likes to bring its own version of stuff. Almost everything, from the file manage,r to the music player, the video player, the application store, the terminal, text editor, calendar, image viewer, sound recorder, even the system monitor and the screenshot tool are custom Deepin applications. They all look quite consistent, with the same stark white theme, window controls on the right, and application menu left of the minimize button. Deepin obviously uses application windows, with controls on the right, which look quite like the windows controls. It keeps the minimize, maximize, and close order, and adds an app menu, which lets you get to some quick options, such as the settings, or shortcuts to create a new window, or exit the application. All default Deepin apps also allow you to select a dark theme on a per-app basis, which persists after closing the window.. 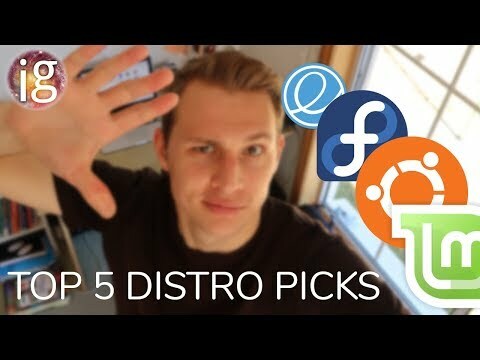 This is an awesome touch that I wish other distros would implement. The overview opens a complete view of all available windows, and virtual desktops, which you can rearrange by drag and drop, and customize with different wallpapers. The whole implementation is very straightforward and nicely animated. Performance was pretty good. Apps open quickly, the desktop reacts nicely, and all animations ran smooth as butter. Memory consumption seems to be around 1.2 to 1.4 Gb of RAM when Idle, which is high, but not terribly. CPU consumption was altogether very low as well. To conclude this first tour, I'm impressed with the attention to detail that went into Deepin. The desktop looks great and smooth, everything is nicely animated and uses vivid colors, and the basic features I need from a desktop environment are all very easy to find an comprehensible. Default apps seem nicely built, and apart from some translation hiccups here and there, everything was smooth and clean. With basic but easy to find customization options, the Deepin Desktop Experience is a welcoming one. I'll keep using Deepin for the next month or so, taking a tour of the applications, the system settings, the customization options, available software, and so on, so bear with me. - operating system logs files and so on. Credit: The creator of this contents is Google. This goes over how I turned Intel's Clear Linux into "SteamOS". It's great for Intel iGPUs and AMD GPUs as you'll always have fresh MESA and Linux kernels. The weird look on my TV is a result of taking the video with my Pixel 2, sorry about that, in real life it looks normal. Also sorry about the terminal beeps when I hit tab, that gets annoying. One thing I forgot to mention is that you need to snag the steam-compositor tarball from http://repo.steamstatic.com/steamos/pool/main/s/steamos-compositor/ and built it from source. It's what provides steamcompmgr. Help me reach 500,000 subscribers at https://www.youtube.com/c/jerrybanfield?sub_confirmation=1. 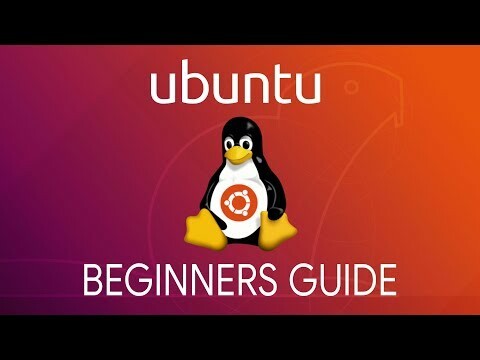 Click on a time point below to skip straight to the chapter in this free Linux tutorial series. You can see the entire table of contents for the video here! 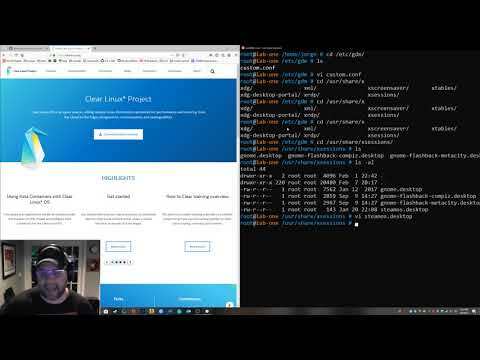 3:03 See why Linux is worth learning followed by a basic familiarization with the graphic user interface. 17:46 Introduction to the free video series and how to get help with your Linux questions. 19:26 Installing RedHat or CentOS with minimal modifications to your current system beginning with downloading, installing and configuring VirtualBox on Windows 8.1. 31:47 Create a Red Hat virtual machine including where to download Red Hat Linux and how to install it in a virtualized environment. 49:53 Installing Red Hat Enterprise Linux. 1:04:30 Completed installation process with Red Hat Enterprise Linux, rebooting, and doing post installation procedures. 1:22:10 Installing RedHat or CentOS with a dual boot approach on Windows 8 starting with how to dual boot Red Hat and windows 8. 1:40:52 Finished installation with dual boot and second steps to running the Linux operating system on a windows computer. 1:49:07 Linux Graphical User Interface (GUI). 2:02:44 Basic familiarization with Linux Graphical user interface. 1:59:12 Learning Linux file systems and the system monitor in the Linux graphical user interface. Looking at processes running and more. 2:12:48 Basic Linux commands for beginners. 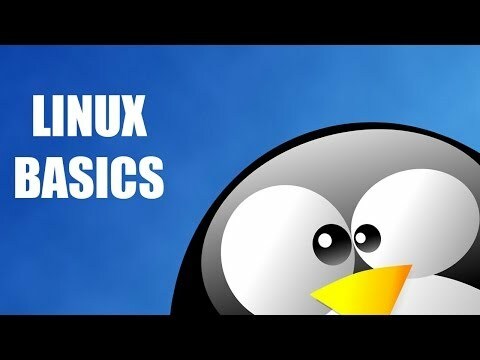 Learn the Linux command line. File system navigation. Commands "ls, cd, pwd." 2:29:03 File system commands in more detail. Change directory command in with ~. 2:43:11 Finding files. Commands "find, locate, updatedb, man" starting with getting to know the manual. 3:02:58 Permissions for files and and folders. Get started with "chown, chmod." 3:16:58 Changing file and folder ownership and permissions between users. More about commands "chown, chmod." 3:25:45 Basic Linux tasks: Move, delete and copy files. Commands "mv, rm, cp." 3:38:44 Linux commands "grep, pipe, echo, cat." 3:57:39 Introduction to the default packet manager for Red Hat Linux Enterprise and for CentOS called yum packet manager. 4:17:28 Essential options used on a daily basis with the yum packet manager. 4:39:35 How to get more help and videos about Red Hat Linux Enterprise and CentOS. Thank you for watching! My Facebook page is https://www.facebook.com/jbanfield. You can find me on Twitter at https://twitter.com/jerrybanfield.